In 1998, a World Health report stated that “women's mental health is inextricably linked to their status in society. It benefits from equality and suffers from discrimination”. This was probably the first time that the disparity in the attitudes towards women and men when it comes to their mental health was officially acknowledged. And what’s more, it also acknowledged how the writing off of female mental health is counteractive, detrimental, and downright dangerous. Schizophrenia has always been a complex disease, even in modern disciplines of human psychology. It can be loosely described as a chronic and severe mental disorder that affects how a person thinks, feels, and behaves; but its actual causes or full range of symptoms have always been ambiguous. The World Health Organization (WHO) once described schizophrenia as ‘a disease of young men’ – and why shouldn’t they have? In the late eighties and nineties, it was a disease largely associated with abnormal male psychology, used to describe non-regulated behaviour. Women weren’t even diagnosed in schizophrenia, and even when they were, it was a demonized, debilitating diagnosis, done to vilify women rather than help them. The symptoms of Schizophrenia usually fall under three categories – positive, negative and cognitive. The symptoms of schizophrenia fall into three categories: positive, negative, and cognitive. “Positive” symptoms are considered the milder forms of non-normative psychotic behaviour (like hallucinations, delusions, thought and movement disorders), “Negative” symptoms are the more extreme disruptions of normal behaviours (reduced emotional expression, fatigue, violent instincts), and Cognitive symptoms are ones that affect memory or the thinking process. 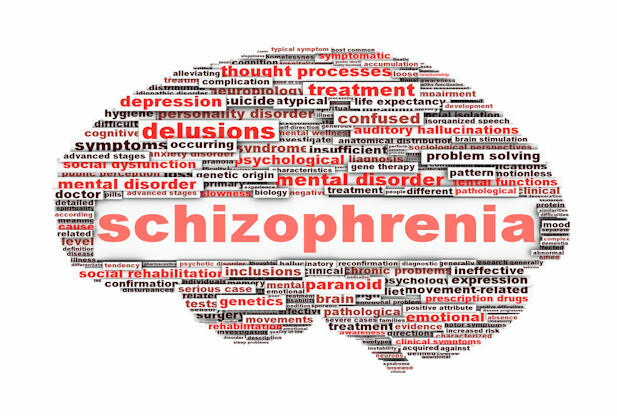 Hence, schizophrenia is a disease that has the potential to drastically alter a person’s mental make-up, and it is too easy to consider someone with the more prominent symptoms to be beyond repair. Historically, women have faced the brunt of it. As with most mental health ailments, men and women are affected differently with schizophrenia, and physicians and psychologists alike have failed to account for these gendered differences. According to multiple studies, schizophrenic women tend to encounter more of the “positive” symptoms, and fewer “negative” symptoms. Hence, their reactions to the disease have been more subtle and harder to diagnose. But other studies have also observed that women with schizophrenia tend to be more overtly hostile, physically active and dominating, with more of sexual delusions, and more emotional than men. Due to a complex interplay of hormones, they also tend to get a lot more anxious, and sometimes have depressive and isolationary impulses. Historically, these symptoms among women were dismissed as “irrationality” or “hormonal changes” – either completely ignored or violently suppressed. But neither has there any proof that a change in oestrogen levels lead to schizophrenia, nor are the symptoms any product of “irrationality”, they’re as valid as any other disease and should be treated with as much seriousness. Common misdiagnoses of schizophrenia has included the prescription of wrong drugs – either ones that treat only the depression or ones that are sedatives. These drugs may have multiple side-effects, both physically and mentally, and sometimes even accelerate the symptoms rather than dulling them. Hence, it is important to not just know or understand your own condition, but to clearly communicate it to your doctor. Doctors, too, should ideally become much more sensitive when it comes to schizophrenia. They shouldn’t only focus on a set of symptoms and instead, see the larger picture. It’s easy to write off simple cases of paranoia as schizophrenia and prescribe drugs that’ll do more harm than good, (and vice versa) and so, every little factor should be taken into account before the doctor gives an official diagnosis. And that includes the recognition of gendered differences in responses to certain symptoms and conditions. More recent approaches to avoid misdiagnoses has put more emphasis on psychotherapy or “talk therapy” in making sure whether a patient’s symptoms point to schizophrenia, and that avoids any extra medication or exposure to pharmaceutical drugs that might prove detrimental. Furthermore, even within the ‘talk’ therapy, there needs to be a greater understanding of how the female psyche functions, and how female pain can often be different from male pain.